In the battle of the state of Pennsylvania, the Pittsburgh Steelers will host the Philadelphia Eagles on Sunday afternoon. The Steelers are coming off their bye week. Before the bye, Pittsburgh lost two of their first three. 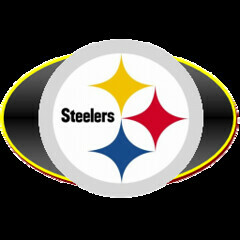 The Steelers are coming off a playoff performance a season ago, after garnering the wildcard in the AFC. Philadelphia missed the postseason a season ago, as they started 4-8, before winning their final four games of the season. The Eagles have won three of four this season, with their three wins coming by a combined four points. The Eagles come in as the underdog in this game, despite having a better record. Like the Steelers or the Eagles? Bet on the game at this sportsbook now! Can the Steelers get back to .500? The Steelers started with a loss to Denver, bounced back and beat the Jets, and then went on the road and were knocked off at Oakland. Pittsburgh has been one of the worst rushing teams in all of the National Football League. Without Rashard Mendenhall, the Steelers are averaging just 65 yards per game. The former University of Illinois running back is expected to be back this week, which will help boost the Pittsburgh offense. The defense for Pittsburgh has been solid, but not quite up to their old standards. Oakland scored 34 and the Broncos added 31 on the Steelers defense. Pittsburgh travels to Tennessee and Cincinnati in their next two games. Philadelphia has survived through for weeks. The Eagles have survived winning three of their first four. Philadelphia started the season with a pair of one point wins over Cleveland and Baltimore. The Eagles fell to Arizona, and then came back in week four with a thrilling win over New York. 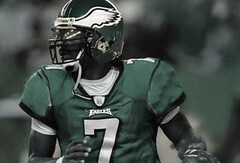 The Eagles have seen Michael Vick struggle in the early going, throw several key interceptions, and record just four touchdown passes. Philadelphia’s LeSean McCoy has been effective in the early going, carrying the football 81 times for 384 yards and a touchdown. The Eagles are atop the NFC East, leading New York, Dallas and Washington by a single game. Philadelphia is entering a tough portion of their schedule that sees them take on Detroit, Atlanta, New Orleans and Dallas in their next four games. Ready to wager? This book has the best odds on this game. This is bound to be a whale of a game. These two teams can compete with the best of them, and there is no love lost between these two rivals. The Steelers will bring the hard hitting defense, and the question is whether they can score enough to get the win. Philadelphia has a dynamic offense that has a tendency to turn the ball over too much. Expect this game to be tight through. We are going to bet Pittsburgh Steelers -3 and over 44 in this game. Our final score prediction is Pittsburgh 27-21.